(Trent Nelson | The Salt Lake Tribune) Brock and Roger Osguthorpe at the Osguthorpe Farm, a 158-acre parcel on Old Ranch Road in the heart of the Snyderville Basin on Monday March 18, 2019. 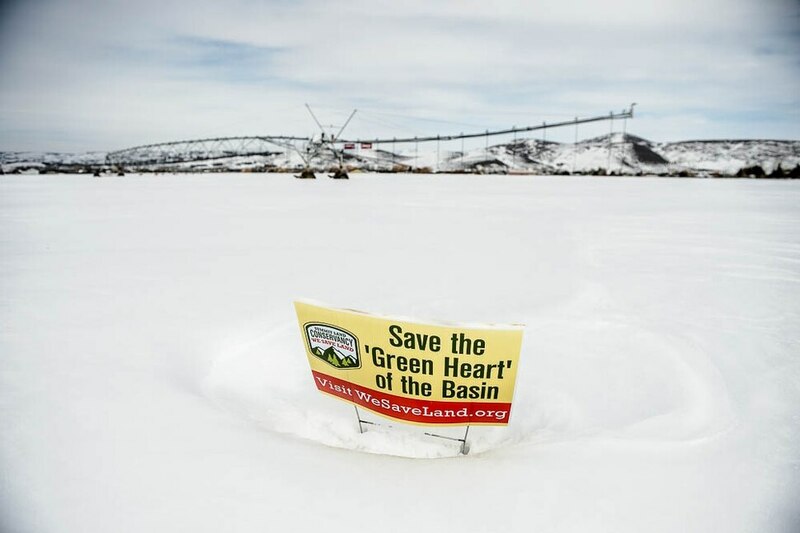 The Summit Land Conservancy is facing a March 31 deadline to raise money to save the farm. (Trent Nelson | The Salt Lake Tribune) Brock and Roger Osguthorpe at the Osguthorpe Farm, a 158-acre parcel on Old Ranch Road in the heart of the Snyderville Basin on Monday March 18, 2019. The Summit Land Conservancy is facing a March 31 deadline to raise money to save the farm. (Trent Nelson | The Salt Lake Tribune) The Osguthorpe Farm, a 158-acre parcel on Old Ranch Road in the heart of the Snyderville Basin on Monday March 18, 2019. The Summit Land Conservancy is facing a March 31 deadline to raise money to save the farm. The Osguthorpe farm on Old Ranch Road would make members of that Summit County family rich indeed if they sold the 158-acre tract near Park City to developers, but they would rather keep the Snyderville Basin’s last working historic farm in production. The wool from Osguthorpe sheep is used to make military dress uniforms. Yet the land that sustains the sheep producing that wool also preserves open space that now helps sustain Park City’s status as a beautiful place to live and visit. The family has agreed to sell a conservation easement that preserves the property as a working farm to the nonprofit Summit Land Conservancy, but the clock is ticking to raise the final $535,000 of the nearly $18 million deal. Summit Land Conservancy is making an all-out push to raise the purchase money by the March 31 deadline under a matching grant from the U.S. Department of Agriculture. “It’s not just about preserving a slice of the past but supporting Park City’s economic future and image,” said Cheryl Fox, the conservancy’s executive director. The group has taken out full-page ads in Salt Lake City newspapers, pleading for donations. The federal Natural Resources Conservation Service provided the largest-ever grant for farmland conservation in Utah, covering half the deal’s price tag, while the Osguthorpes shaved $4 million. Fox’s group has been raising the balance since September 2017 and has so far pulled in 900 donations. The Osguthorpe farm, located just northeast of Willow Creek Park, would bring a fortune to developers. But its value as open space is worth far more to Park City, whose tourism economy depends of scenic venues and outdoor recreation, according to Fox. Steve Osguthorpe’s father, well-known veterinarian D.A. “Doc” Osguthorpe, who died in 2009, bought the tract in 1947, back when many Synderville farms raised feed for horses that toiled in nearby mines, hauling ore to the surface. The pivot-irrigated half-mile-by-half-mile quarter-section was the Osguthorpes’ first of many acquisitions in the Snyderville Basin at a time when the area economy was shifting from natural resources to tourism and skiing. After Park City’s mines closed, Osguthorpe bought out other farmers who had lost their main source of income. 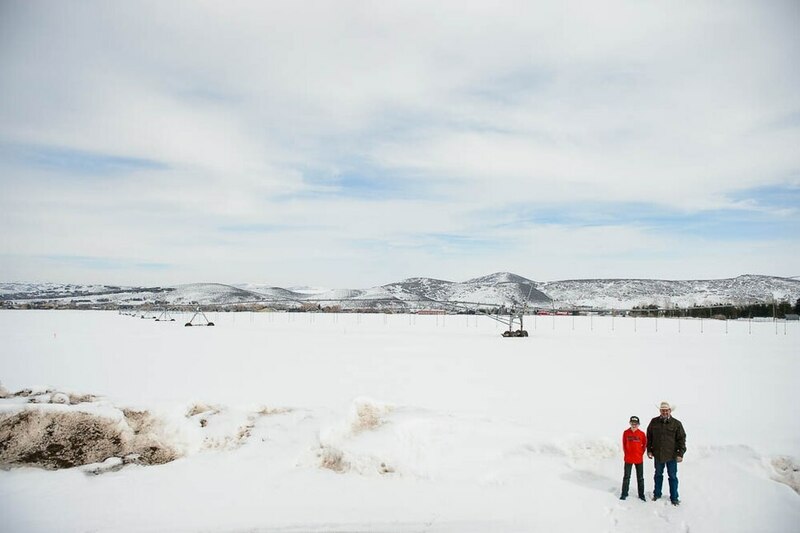 These holdings are now key pieces of Park City’s remaining open space. Since 1998, the Summit Land Conservancy has acquired development rights in Utah’s once-bucolic basin that now harbors some of the West’s priciest real estate. The group manages 38 conservation easement on 5,700 acres of undeveloped land in Summit County, much of it with public access in and around Park City. The Old Ranch conservation deal is the fourth for Osguthorpe family members, who have forgone lucrative development on highly visible properties, such as Round Valley’s Land of Oz and the conspicuous barn, once part of a thriving dairy, off State Road 224. 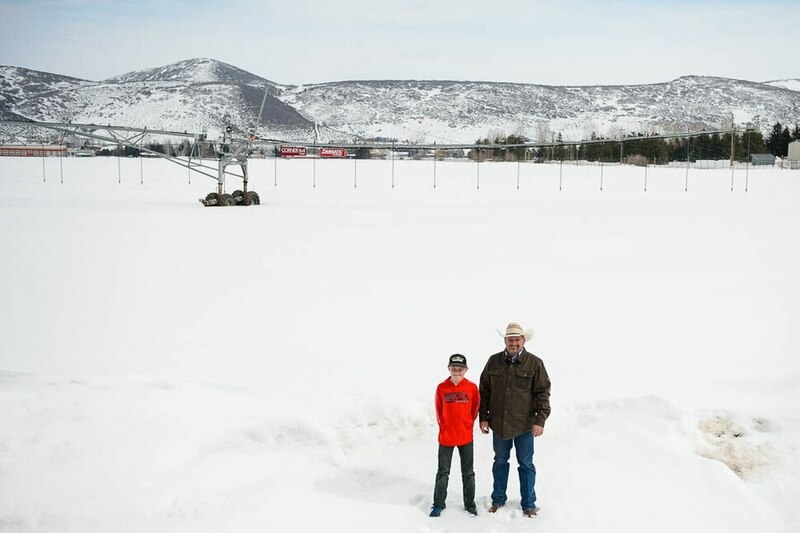 As they have done at Round Valley, they are open to allowing wintertime access to the Old Ranch property, which could be tied in into Park City’s cross-country ski trails through Willow Creek Park. While surrounding parcels turned into subdivisions, the Osguthorpe holdings continued to be used for growing alfalfa and oats to support the family’s sheep and dairy operations and to sell to horse owners.